The 'runner' on the longest boom was shortened on Monday 29th October, enabling automatic boom release as river levels rise towards flood conditions. 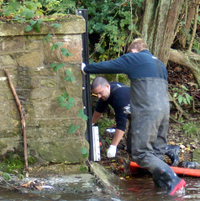 This means that the trap will operate during low and medium flow but that it will release in higher flows to prevent damage to the trap and minimise the potential for flooding. in spring time and will be an eye catching centre of the community. School children from a wide community celebrated the official opening of a new bridge that they all had a hand in designing. 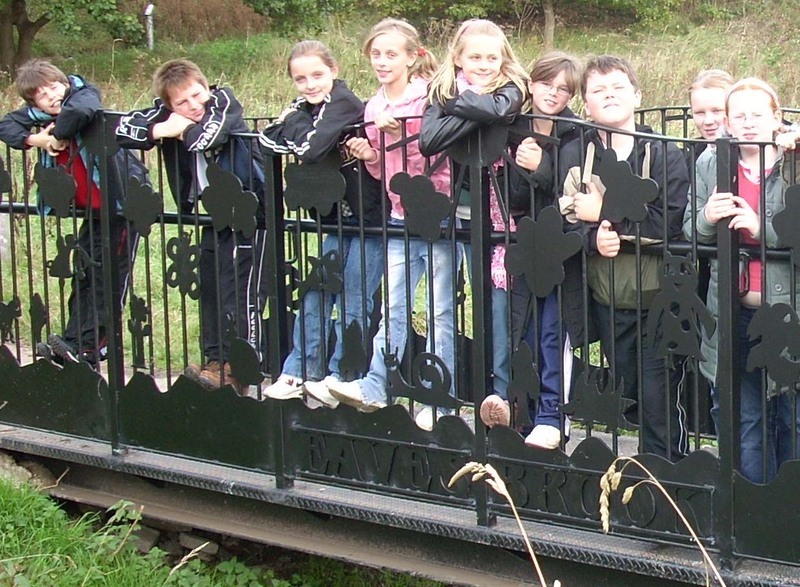 The metal bridge over Eaves Brook in Grange Valley depicts animals created by children from Grange, Greenlands and Moor Nook Primary Schools in animation workshops at Grange Visitor Centre. Led by artist Chris Davis, the children produced a short film about animals living in the valley that would befriend the dragonflies attracted by improvements to the brook. Chris then transferred the animals into shapes that could form part of the overall bridge design, which was manufactured by Howick Forge in Penwortham. The finished article is now a unique reminder of the children’s work. It forms part of the much-used footpath through the valley linking communities on both sides and is a wonderful replacement for the ramshackle wooden bridge that previously spanned the brook. 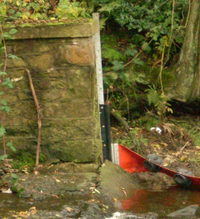 Funded by the Environment Agency the bridge is just one of the many improvements taking place along Eaves Brook in the wider initiative to improve Eaves Brook Linear Park. Eaves Brook Linear Park is being created by a partnership consisting of Lancashire County Council, Preston City Council, Environment Agency, Lancashire Wildlife Trust, Action Ribble Estuary and One Voice. Just a quick post to tell you that Stephen Guy, over at the National Museums Liverpool blog has posted an entry about the Liverpool Pilots and their vessels - don't forget that two of the pilots, Tony Brand and John Curry are shortly to appear as part of the Mersey People project in our forthcoming book, Mersey: River that changed the world. The inaugural New Brighton Heritage Walk took place on Saturday, 6 October as part of Mersey Basin Week. 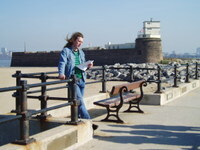 Our guide, Barry, took us from New Brighton Station along the promenade to Vale Park, showing us a variety of historial landmarks along the way. We learnt about the Guide Dogs for the Blind Association, formed in New Brighton in 1934, the long-gone tower - taller than Blackpool's - which dominated the skyline for over 20 years, and the notorious Ham and Egg Parade, which had such a bad reputation it was eventually demolished and replaced by the Floral Pavilion Theatre in 1907. One hundred years later, the redevelopment of the Theatre is the first phase of a large-scale regeneration scheme to revitalise the New Brighton waterfront. The weather was glorious - the sun shining and, unusually on the Estuary, hardly a breath of wind. The photo shows our guide telling us about Fort Perch Rock, built as a coastal defence following the Napoleonic Wars. We finished up at Vale Park Cafe for tea and toast, generously laid on by New Brighton Community Partnership. Illustrated leaflets, written by Barry, were produced by Mersey Waterfront. For information on future walks, contact New Brighton Community Partnership on 0151 639 5798. 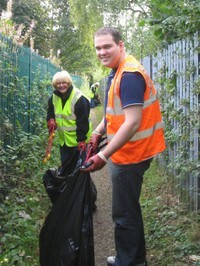 Last week as part of the Mersey Basin Week, community groups in Wilmslow gattered at the local high school to tackle some litter 'grot spots'. 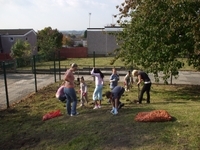 Over 20 volunteers helped out on the afternoon event and managed to clear up footpaths, streets and play areas near to the school. One good sign was that not one shopping trolley was found!! Wilmslow High School, who hosted the event praised the efforts of the teams of volunteers and hope that next year they can attract more young volunteers by leading a spring clean through the school council. 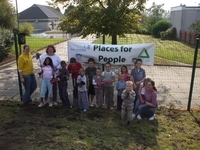 This may take the form of a litter campaign and involving local businesses or even drama workshops with the feeder schools. Friend of the Mersey Basin Camp aign Chantelle Edwards helped to celebrate MWH Mersey Basin Week on the Ribble Estuary. 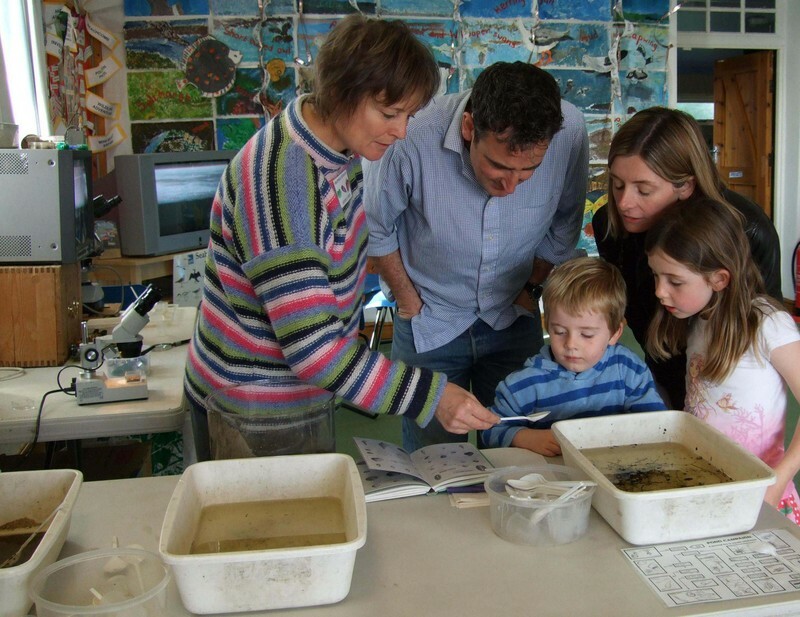 Supported by a Mersey Basin Week grant she went along to RSPB’s Ribble Discovery Centre on Saturday 6 October. There she found minute creatures living in the water and in the estuary mud and put them under her microscope. Their images were then magnified thousands of times larger than life and appeared on a TV screen, enabling the visitors to see every detail of the tiny creatures. Over 300 visitors were able to get close up and personal with the creatures which are a valuable source of food for the thousands of birds for which the Ribble Estuary is famous. Thank you Chantelle and thank you RSPB for arranging this event. Volunteers from the Deepdale Centre, a Lancashire County Council day service centre, regularly work at the Fishwick LNR used the new tools for grass cutting and helping to control Himalayan Balsam. Other volunteers, supervised by the Lancashire Wildlife Trust, also helped to cut some of the areas of grassland and meadows around the Fishwick LNR. The Fishwick site was designated an LNR in 2006 and has since benefited from extensive work to improve and create wildlife habitats and now has a network of paths to allow public access. Much of the habitat management is carried out by volunteers and the tools, purchased with the MBC grant, will be used many times on the seven grasslands found within the reserve. 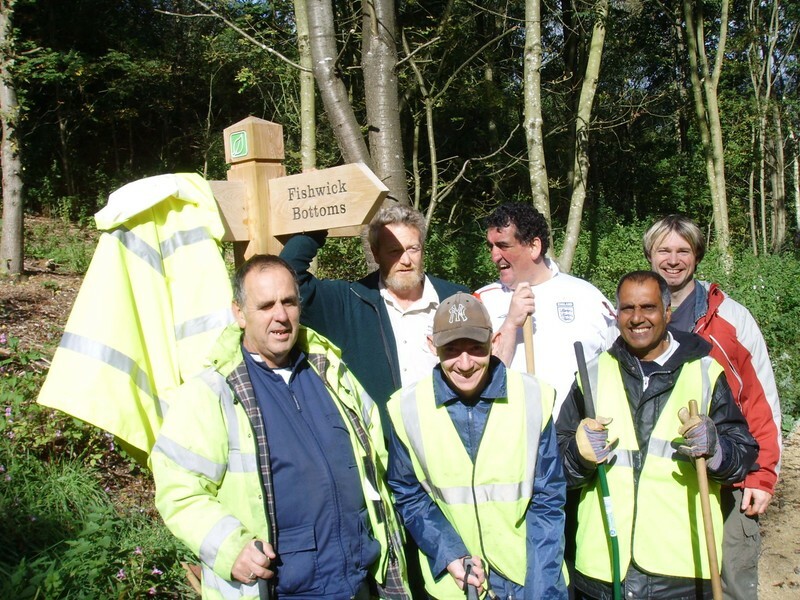 Well done Fishwick volunteers and Preston CC Ranger Terry Blackburn for showing us that a Mersey Basin Week grant can be for life and not just for MWH Mersey Basin Week!